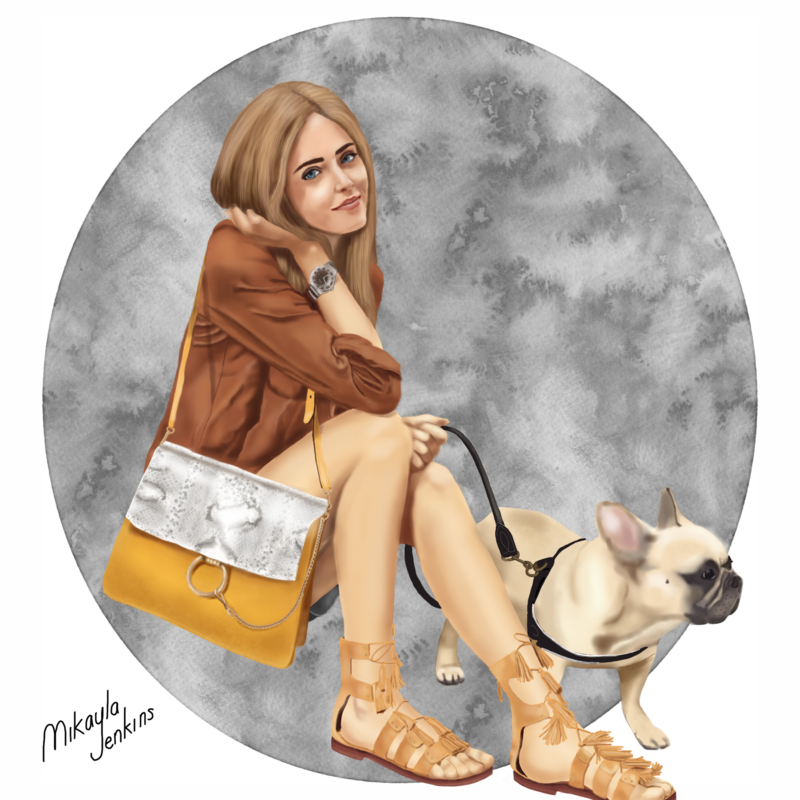 About a month ago, I came across a picture of Chiara Ferragni and her dog Matilda in my Instagram feed, and it stuck with me. Chiara’s look was effortlessly covetable (as usual), and she was out and about with her adorable dog, Matilda. And although I’m crazy for the Chloe Faye bag and Zara sandals, I think Matilda stole the show in the pic. By no means do I look anywhere near as chic as this when I take my shih tzu out for his daily walk, so drawing Chiara and Matilda allows me to live vicariously through them. Honestly, I’m a sucker for a good dog walking street style pic. Aww, thanks so much, Carmen. Fantastic drawing! You should inform her about your drawing!